Bollywood actor-director Deepak Tijori feels the Censor Board is bullying filmmakers to follow their guidelines after his latest Do Lafzon Ki Kahani had to bear certain cuts by them. 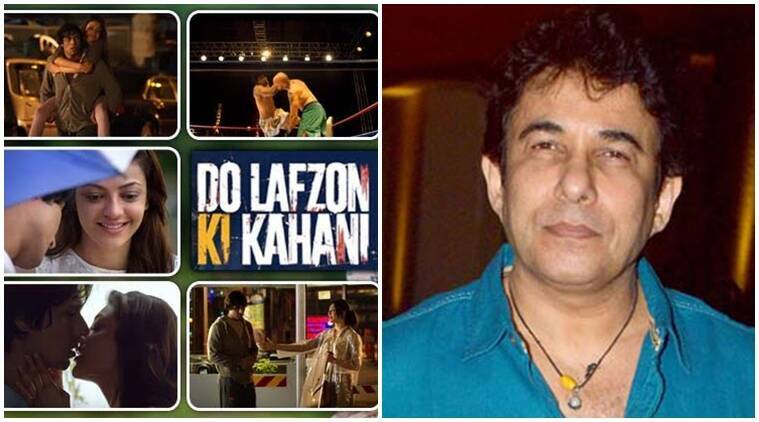 Bollywood actor-director Deepak Tijori feels the Censor Board is bullying filmmakers to follow their guidelines after his latest Do Lafzon Ki Kahani had to bear certain cuts by them. The film, which is based on the 2011 Korean movie Always, is set to release on Friday (June 10). Tijori says he was asked by the Central Board of Film Certification (CBFC) to edit an 18-second long kissing scene by almost 75 per cent from the romantic drama, which stars Randeep Hooda and Kajal Aggarwal. “When we went to the censor, they offered to give the film a U/A certificate and asked to reduce an emotional kissing scene between a blind girl and an ex-MMA (mixed martial arts) fighter. It was difficult to convince them (the Board) not to do that,” Tijori told PTI. “They said they will give U/A because there are fight sequences and blood. They wanted to cut those scenes,” he said. “I argued that today kids are watching MMA fights online and are exposed to it. Even otherwise, the content was not graphic at all,” he claimed. The filmmaker said he eventually settled to shorten the kissing scene but was surprised when the board also asked him to remove the word “saala” from the film. “There was an 18-second kissing scene which they initially asked to reduce by almost 75 per cent. Later, we agreed to edit it to nine-second. The board is becoming even more ridiculous day by day,” he said. “They even asked me remove ‘saala’ (a slang), ‘kutta’ (dog) from the film… My film is a love story, it does not have a single abuse. They (the Board) are torturing filmmakers… Today it has got nothing to do with the content but only guidelines,” Tijori added. The film, which is based on the 2011 Korean movie Always, is set to release tomorrow. Tijori says he has been fighting against the board since his first movie Oops! Yesterday, many filmmakers came out in support of Udta Punjab, which is embroiled in a major controversy over censorship and voiced concern over the way censor board was functioning. Tijori says even though Bollywood is “ganging up”, it is a futile fight which will go on and on. “I have been saying this, let us get to certification instead of censorship. But again, it is a futile fight. Bollywood is ganging up against the ministry but sadly it won’t work. It is really sad what is happening in our country. We keep fighting, keep begging, but the moral policing won’t stop,” the 54-year-old helmer added.